What If… is a self-indulgent look at how things could have been. I take an event or a rumour and let my imagination run wild. It’s rarely based on fact and completely based on guess-work and conjecture. Reboots rarely do well. For every J.J Abrams Star Trek or Christopher Nolan’s Batman Begins, you get a Nightmare on Elm Street or Teenage Mutant Ninja Turtles. I am going to take a look at five recent reboots/remakes and wonder whether their fate could have been different had they been the first movie, fresh with nothing to go before. Robocop felt like it was on to a loser from the beginning. All the fresh, satirical substance from the original was stripped away and replaced with a generic, lifeless and often dull sci-fi movie. With no news of a fresh franchise on the horizon, the reboot seems to have failed. If it had been released first you have to wonder if that would have made any difference. It is an original story but doesn’t quite stand-out amongst movies like Chappie or Total Recall. It didn’t really matter that we were comparing the new Robocop to what had gone before because that wasn’t it’s biggest failing – being generic was. The Amazing Spiderman would be a reboot almost destined to fail from the start. 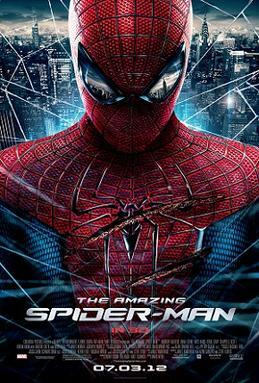 It was too close to Raimi’s trilogy, it retold a story that people knew already and it began by using a villain that few people knew or really cared about. The sequel was better but felt like it was pushing too hard to be part of a bigger story and the rights are now shared between biological parents Marvel and legal custodians Sony. If Raimi’s movie’s were not so fresh in the mind, The Amazing Spiderman would actually have stood a chance. This version of Spiderman is better. Peter Parker feels more like the geeky scientist he should and he is a wise-cracking, youthful superhero rather than the middle-aged Spiderman Toby Maguire felt like he was playing towards the third movie. You could look past a dodgy villain because this would have been the first time we saw the origin story and in amongst the rest of the superhero movies that make up our summer’s, Andrew Garfield’s Amazing Spiderman actually stood-out. There is something that feels “off” about Johnny Depp as Willy Wonka. He is just slightly too creepy. The back-story is unnecessary, the put-downs a little too harsh but the biggest criticism you can level at the character – he isn’t Gene Wilder. In fact, nothing in the Tim Burton version of the film compares to the 1971 Willy Wonka and the Chocolate Factory. The songs don’t really fit, the Oompa Loompas are slightly terrifying and the kids forgettable. I don’t think being the “original” or first attempt at the big screen would have helped Burton’s version. This movie feels like it messes too much with what made the book so famous and cherished rather than stick closer to the source material as many remakes usually do. In fact, without the Wilder version, people may have felt even more annoyed at how their beloved childhood memory was actually messed with. When Peter Jackson brought his version of the classic monster-ape story to the big screen, you couldn’t argue with the ambition or the spectacle. The movie looks great and the motion capture on Kong is superb. The added battle with the T-Rex and then the great sequence at the end make this movie a stand-out, even if we get Jack Black on annoying form and a slightly pointless Adrien Brody. Without the original 1933 original to be compared to, I think Jackson’s movie would have done even better. The story of a giant, motion-captured ape terrorising the skies of 1930 New York is an original one (even if has been copied and parodied plenty of times since) and without any knowledge of the story beforehand, a lot of curiosity may have meant this film gets a favourable memory-today rather than being slightly forgotten. 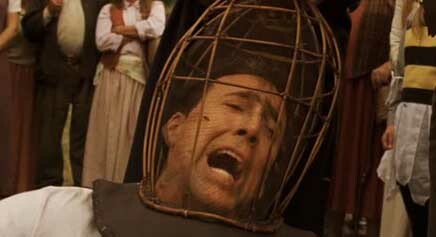 There isn’t much to say about The Wicker Man other than Nicholas Cage over-selling his performance and “turning-it up to 11.” The Bees, the Bear suit, the travesty. Compared to the creepy, cult horror starring Edward Woodward, The Wicker Man is a Nicholas Cage film destined for DVD bargain bin, except curiosity meant people actually saw it! Nothing could save this. If it was the first film it would probably still spawn the memes, famous GIFs and all the rest of the justified scorn that it has earned. Overall, some remakes and reboots are so bad that there is no way they could have found success, even if they had been the first attempt. Others, notably The Amazing Spiderman, may have benefited by having nothing else to be compared to. Feel free to offer your views and also suggest other reboots/remakes for future posts. Of the five movies I think Amazing Spider-man would be the most successful if it weren’t for the Raimi movies. Although I’m tired of yet another reboot of Spider-man already, I’m curious to see how he will fit into the Marvel Cinematic Universe. I actual argue King Kong reboot could’ve been more successful, despite the original, if they had started the movie with the ship arriving at Skull Island. It’s fault was that it felt like two movies in one. Thanks. I was going to mention, but trimmed it for time, the issue with King Kong is how bum-numbingly long it is. It takes too long to get to the actual Ape when we know what to expect from the trailers and posters anyway! Thanks. There was something about making that movie “creepy” that turned me off. I loved that book, and the original film, so much as a child that anything so different didn’t feel right. TASM remake annoyed me because it was so close to the previous trilogy. I personally like Maguire better than AG. I need to rewatch King Kong, was writing this post having seen it a couple of years ago. 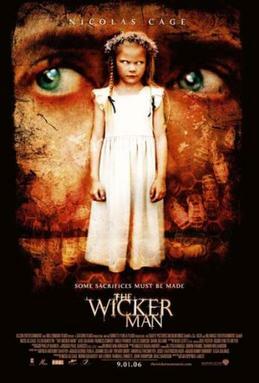 Do watch the original Wicker Man, it’s a very good film. I’d sort of say to then watch Nick Cage one because it’s an experience. Previous Previous post: Is it too easy to blame the studio?